The Pinoy dancers are through to the next round of World of Dance US. Filipino dance group Vpeepz once again wowed the judges of World of Dance in the US and will be moving on to the next round of competition. Participating in the junior division of The Duels last Sunday, March 24 (US Time), Vpeepz smashed competition Battle Droids from Belgium with their routine "Tambourine." Judges Ne-Yo, Jennifer Lopez and Derek Hough were thoroughly impressed with the hip-hop dancers' routine. "Your precision is literally dancing with one brain, everybody doing the exact same thing at the exact same time. Top notch," Ne-Yo told the group. "I was like is it perfectly clean every single step right now? And you guys were hitting it so hard, and that's what I look for too , can you keep up the intensity and you guys absolutely did," Jennifer commented. 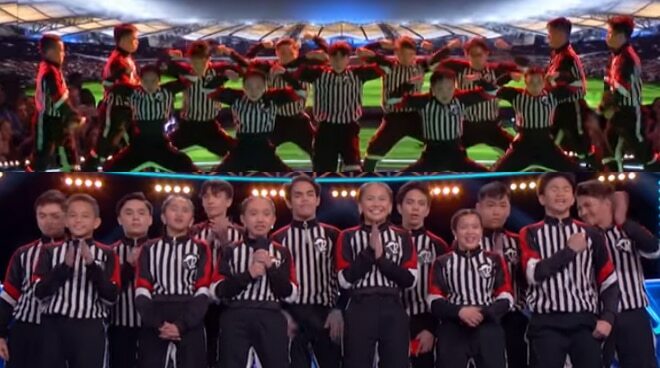 Although there was a minor mishap with an execution in the routine, the judges all still lauded the Vpeepz and gave them an average score of 92 versus the 90 of the Belgian b-boy dance team, which made them qualify for The Cut next week.